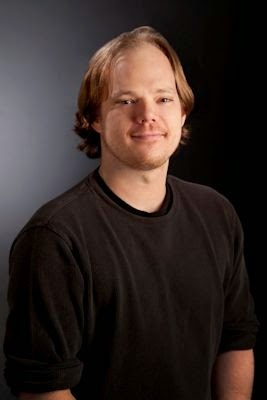 Please welcome Jamie Schultz to The Qwillery. 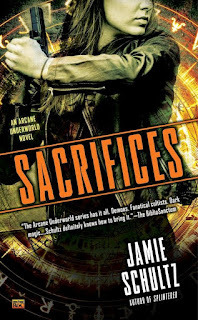 Sacrifices, the 3rd Arcane Underworld Novel, is published on July 19th by Intermix. Please join The Qwillery is wishing Jamie a Happy Publication Day! TQ: Welcome back to The Qwillery. Your new novel, Sacrifices (Arcane Underworld 3), is published on July 19th. 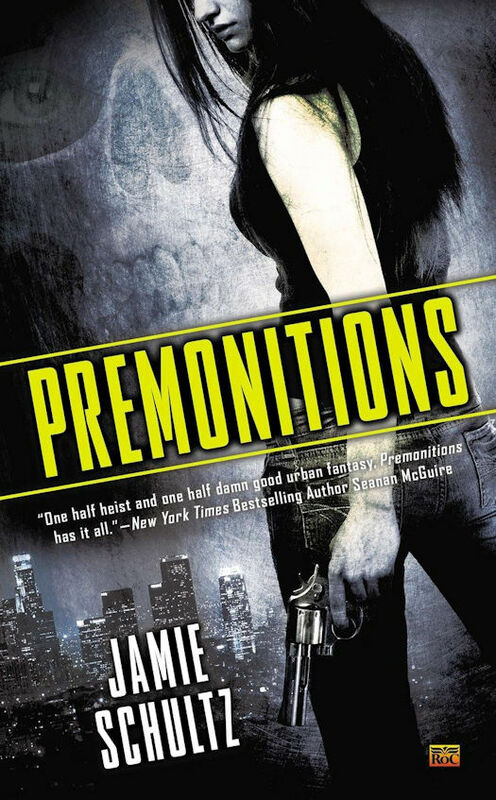 Has your writing process changed (or not) from when you wrote Premonitions (Arcane Underworld 1) to Sacrifices? Jamie: Thanks for having me! I wouldn’t say my writing process has changed much. I still write an outline, then start the book, then learn some things that cause me to go wildly off script before I finish up. I did, however, start working as far in advance as I could, in an attempt to minimize continuity problems and to help me avoid making decisions I’d have a hard time living with later. For example, I had a draft of Sacrifices (Book Three) already done while I was working on edits to Splintered (Book Two). Of course that draft changed a bunch before completion, but it really helped give me some lines to color inside while cleaning up Book Two. Working that far ahead definitely took some getting used to. TQ: What do you wish that you knew about book publishing when Premonitions came out that you know now? Jamie: It’s… very… slow. Also, there are a lot of things out of your control, which can be a little maddening. The best thing for me was to focus on the work and simply accept those things which I couldn’t control. Which, actually, turns out to be a good practice for keeping one’s blood pressure in a reasonable range in general. TQ: Tell us something about Sacrifices that is not found in the book description. Jamie: An interesting dynamic in the book is that, at the end of Splintered, Genevieve ends up sort of dragooned into helping Sobell. That ends up pitting her against Anna in the race for the relic in this book and testing both her loyalty and her friendship. TQ: Which character in the Arcane Underworld series surprised you the most? Who has been the hardest character to write and why? Jamie: Nail surprised me the most, largely by turning out to be a lot more likable than I’d originally expected. I enjoy writing him a lot. The hardest to write is Karyn, no doubt. Her visions of the future are messy, often metaphorical, and slopped right on top of her perception of the real world, which makes anything from her point of view particularly challenging to write in a way that it’s clear to the reader what is really going on. In addition, her motivations change considerably throughout Book Three—in a good way, I think, but one that added a fair amount of complexity to what had previously been simple survival. TQ: Sacrifices is the final novel in the Arcane Underworld series. How does it feel to wrap up the series? Jamie: It’s a bummer. I got pretty attached to the setting and the characters, and overall it fits my vibe pretty well. On the other hand, working on something new is always exciting, so it’ll be good to focus on that for a while. TQ: Why have you chosen to include or not chosen to include social issues in the Arcane Underworld series? Jamie: I don’t know that I’ve tackled social issues in a head-on sort of way in these books, but there’s definitely a constant undercurrent. The Arcane Underworld series is about criminals, for the most part, and even in a highly dramatized setting, it’s just not possible to write about crime without acknowledging the sort of poverty and desperation that often gives rise to it. Particularly for Sacrifices I did a lot of research on street gangs, and all the cultural and economic factors that play a role in generating and sustaining street gangs are, shall we say, sobering. I hope some of that comes through in the book. TQ: Which question about your Sacrifices of the Arcane Underworld series do you wish someone would ask? Ask it and answer it! Jamie: What’s your favorite scene from the book? There’s a bit where Anna is talking about a bad episode from when she was growing up that I’m really proud of. I feel like it gives a lot of insight into her character as well as into one of the other characters in the book, and it’s kind of a touching scene, inasmuch as anything I write qualifies. When I think of this book, that’s the first scene that pops into my head. It’s not a climactic scene and not, perhaps, even critical to the plot, but it’s just right. TQ: Please give us one or two of your favorite non-spoilery quotes from Sacrifices. Jamie: I’ve got a pile of projects! I’m most excited about a novel I wrote with a friend of mine. I believe it to be the world’s most bizarre vampire novel, and I expect it will appeal to folks who enjoyed the Arcane Underworld series. I’ve also got a handful of other things I’m kicking around. Too much to write, not enough time! Jamie: Thanks again for having me! Things get a little demonic in the latest Arcane Underwold novel from the author of Splintered. Thanks to their recent involvement with a magus crimelord and his demonic partner in mayhem, occult thieves Anna Ruiz and Karyn Ames are both stuck sharing head space with a demon. But while Karyn’s possession has had the unexpected benefit of focusing her visions of the future, Anna’s demon is spurring on her darkest urges, and it’s only a matter of time before she acts on them—and hurts someone in the process. Karyn’s crew and even Sobell himself are about to find out just how powerful it is… and how powerful it may yet become. 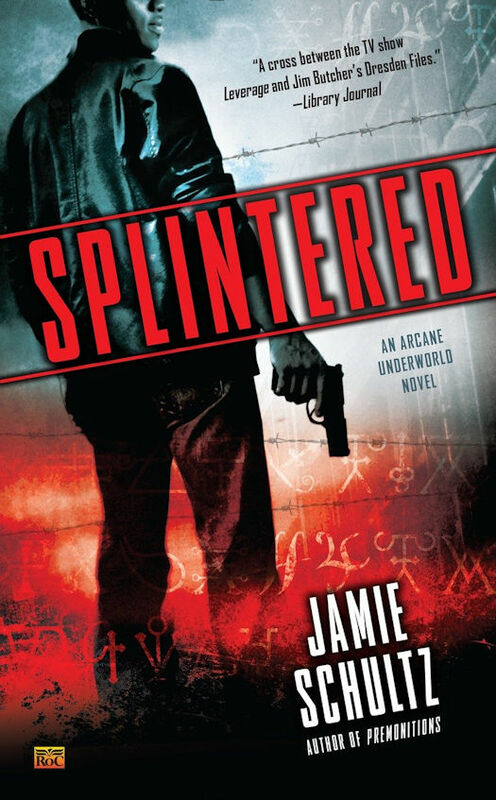 Jamie Schultz is the author of the Arcane Underworld novels, including Premonitions and Splintered. He has worked as a rocket engine test engineer, an environmental consultant, a technical writer, and a construction worker, among other things. He lives in Dallas, Texas.